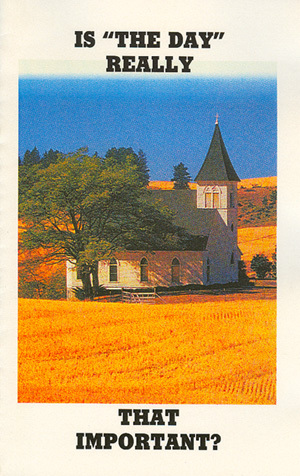 In this booklet you will find a brief examination of the foundation upon which the true Sabbath rests. Then, in contrast, is presented the baseless fabric of heathenism upon which the Sunday-sabbath rests. First copy FREE, additional copies $.50 each + S/H.